This Ain't La La Land, It's Real Jazz! The most-rarest, valuable treasure in the arts, has always been jazz. Through sounds, that crash onto the ear drums of those who hear it, jazz manages to take its listeners onto a different world and bring them back as soon as a song is done. An art form that has a language of its own. It’s spoken through the screeching of trumpets, the warmth in the melodic melodies in every sax, and the harmonious yearning from all the rest of the instruments, which hit the soul like dew. As an essential part in the music culture and in the artistic world, jazz has melded every citizen, no matter the race, to connect through the rhythm. Though jazz has had a close relationship to dance and the nightlife, most jazz clubs haven’t seen the light of day, but some remain and stand here in the city of Long Beach. Evolving simultaneously, since the 1920s in New Orleans, Chicago, and Kansas City, quite a few jazz clubs have found their way into the mainstream. Now, read on to check out some jazz cats at a few clubs that are around the city. 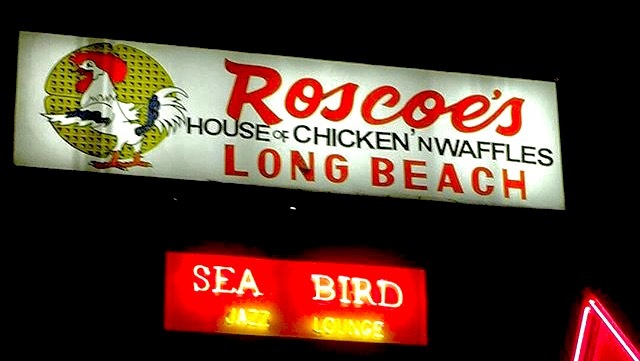 Opened since 2010 and located in Downtown, Long Beach in a Roscoe’s Chicken and Waffles at 730 E Broadway. This jazz lounge offer’s live entertainment, showcasing various artists every night. This place not only offers Jazz, but Latin Jazz on Sundays and even karaoke night on Wednesdays. The life of the party begins at 7 p.m. and ends at 1:30 a.m. with free parking and no cover charge on certain days. How can one go wrong with Live Jazz? and delicious food to choose from. Keep in mind that there are more expensive Jazz clubs out there, so go and give a look and enjoy your night. Notice: As of now, Seabird Lounge is closed for renovations. When it opens again, we will let you know. The Exhibition Room, is quite a unique experience, it’s calls out a Jazz club as you walk in, but it isn’t. It’s history is very interesting, as it was a saloon when it opened, but because of and because of prohibition in the 1920’s. After a couple of years passed, the owner Dennis McCarthy opened a secret bar on the corner of Signal Hill and Cal-Heights. Even though, The Exhibition Room isn’t a jazz club, jazz musicians do perform on certain days. There are even silent film days as events on the Exhibition Room’s event calendar. With an atmosphere of luxury and artistic flair, there is a dress code, you must make a reservation and there is a code word to get in. There’s a secret door in the back of Roxanne’s so you can get in and it’s only opened on Thursdays-Saturday. If you’re interested in giving a look, go to 1117 E. Wardlow Rd. in Long Beach. With panoramic views and being one of the top 100 most romantic restaurants in the U.S., The Sky Room is a really-elegant, old school art deco supper club with jazz and big band performances. Not every night is jazz night, but you can definitely- catch some cool cats performing here and some swinging orchestras. Located atop the historic Breakers Hotel, events are held Monday-Sunday from 5:30 p.m. through 8:30 p.m. If you’re planning on taking that special someone on a date then make reservations at 40 South Locust Ave, here at Long Beach. If you’re are looking for something small, just to catch a drink and meet with friends and not spend much, then 4th Street Vine is your place. 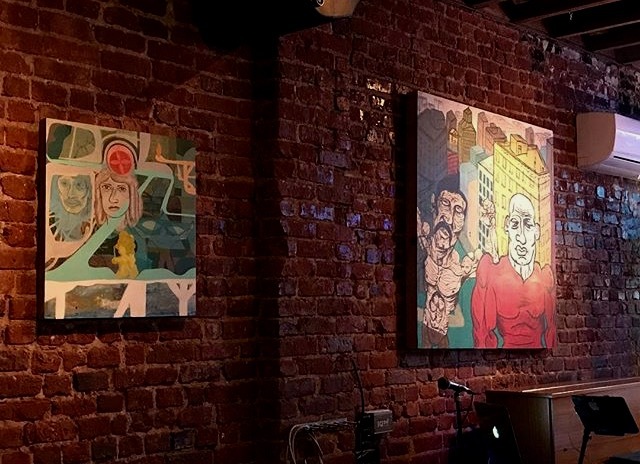 This small wine and beer bar, has displays of art on the walls and live music to capture the ambiance of the music that Long Beach provides. Better yet, the owners believe in the benefits that the arts and music provide to the community and allow local artists and performers to hang their art and perform here. With rotating art shows, the music in here rotates too, and there are some jazz nights. So if you’re in a budget, come here, its open from Monday-Friday at 5 p.m.-10:30 p.m. and Saturday-Sunday from 2 p.m.-11:30 p.m. It’s right on 2142 E. 4th St.